Low wages in Mexico have been a thorn in the side of Canadian and American unions since the North American Free Trade Agreement first came to be in the 1990s. 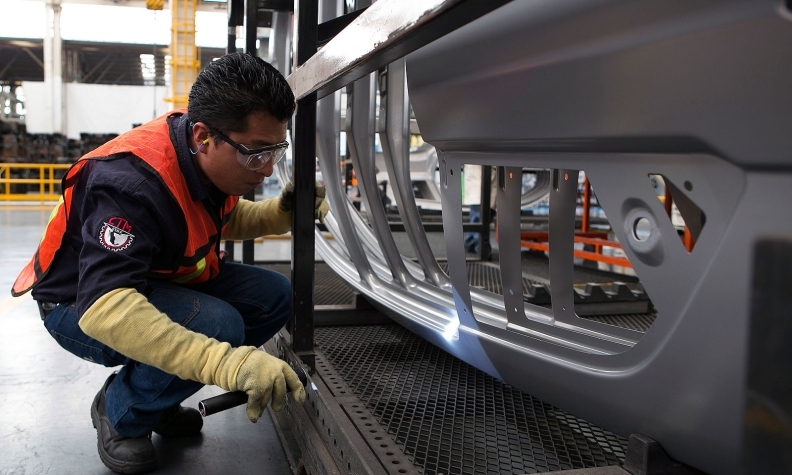 MEXICO CITY -- Mexico's low wages have become an increasing point of debate as the second round of negotiations on the North American Free Trade Agreement moved into their fourth day Monday. The United States has said it wants to tighten labour standards in the 23-year-old trade pact. But Mexico has drawn plants and investments by capitalizing on low wages and weak union rules, and Mexican business and labour leaders appear to be resistant to any attempt to tighten labour standards or ensure that Mexican wages rise. Unifor National President Jerry Dias, who represents unionized autoworkers in Canada, said over the weekend that wages in the three nations under NAFTA should be equalized. But a top Mexican union leader, Carlos Aceves del Olmo, has said equalizing wages is "a pipe dream," claiming wages in Mexico can't be compared to U.S. and Canadian salaries. Gerardo Gutierrez Candiani, head of Mexico's special economic zones and the former leader of the country's business chamber, said Friday that Mexico could not be expected to go beyond its current labour laws and its constitution. They include vague references to the freedom of workers to unionize, but in practice pro-government unions often sign contracts behind workers' backs in Mexico. On Sunday, the head of Mexico's agricultural council told local media that the United States should keep its nose out of Mexico's affairs. "Let each country respect its labour issues, that's what Mexico is proposing," De la Vega said. "Mexico can't interfere in U.S. and Canadian labour issues, and we ask them same, that they don't get involved in this issue." The talks are also focusing on such issues as rules-of-origin and local content, electronic commerce, the environment and anti-corruption measures. Mexico's Economy Department said the five days of talks in 25 working groups are expected wrap up Tuesday. The first round of talks took place in Washington in mid-August, and several more rounds are expected.